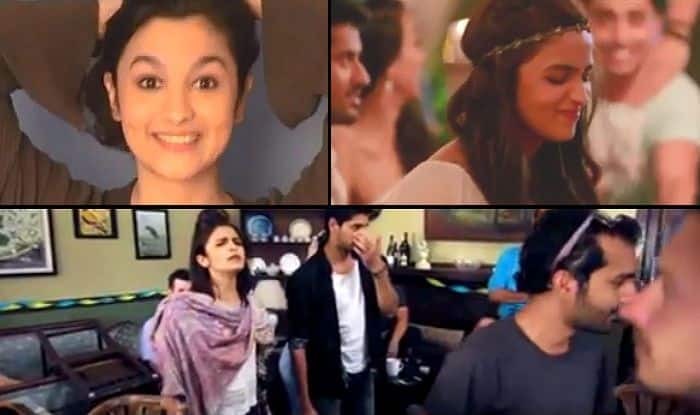 Alia Bhatt posts a beautiful video on Instagram showing some behind-the-scenes moments from her films. Alia is currently basking in the success of her last released films. Her performance in Meghna Gulzar’s Raazi is winning trophies at all major film awards, while her Safeena act in recently released Gully Boy has also been appreciated widely. Alia just won the Best Actress trophy at Filmfare Awards 2019. The video also shows her uttering some of the famous dialogues in films. The actress has got a stunning lineup of films up her sleeve making sure that her fan following is only rising up. Her next is Kalank with Varun Dhawan. One of the songs from the film – Ghar More Pardesiya was recently released and Alia was seen showing some fabulous dance moves alongside Madhuri Dixit in the video. The film is releasing on April 17. Alia will then move to wrap up her work on Brahmastra with Ranbir Kapoor and Amitabh Bachchan. It’s hitting the screens on December 20 this year. The actress has got Sanjay Leela Bhansali’s Inshallah with Salman Khan in the pipeline after that. She has also got an extended cameo in SS Rajamouli’s big film RRR, with Ajay Devgn, Ram Charan and Jr NTR. She is also in news for her relationship with actor Ranbir Kapoor. In fact, she expressed her feelings for the actor at an award show. As she went up the stage to receive the trophy at Filmfare, Alia made an acceptance speech and towards the end of it, she called Ranbir her ‘special one’ and said ‘I love you’ to him. It seemed all so beautiful. There’s no stopping for this woman professionally or personally!